Because someone out there needs to read the story you need to write. Writing is an act of self-discovery. 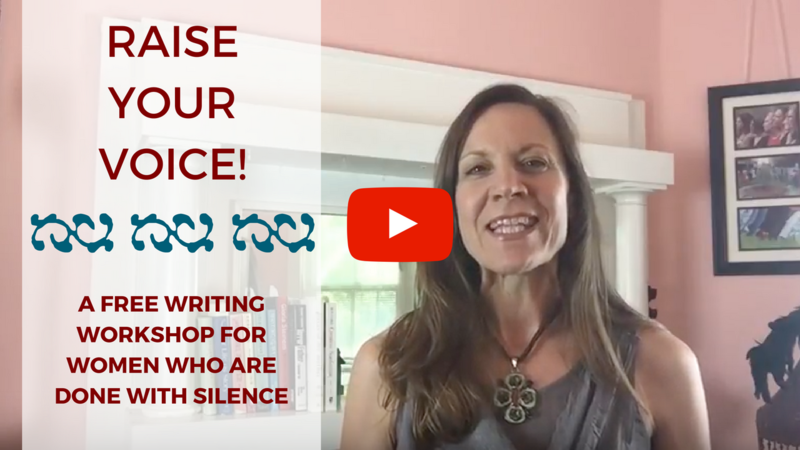 In Excavate Your Truth/Free Your Voice you will explore your identity as a female, identify your life’s narrative themes, and experience your writing as an empowering and transformational practice. Program integrates the craft skills essential to writing memoir with the consciousness work necessary to claim your voice and your story from the cultural shame and silencing that keeps so many women’s stories untold. Revise Your Truth One-on-One Mentoring Program is open to women writers who have completed Excavate Your Truth/Free Your Voice and/or Craft Your Truth/Claim Your Voice and want to continue their writing journey with a committed writing coach (Marilyn!) who understands the craft of memoir as well as the patterns of female conditioning that keep so many women silent. In these candid conversations, you will hear what it means to be on a conscious writing journey, and how writing can be both a path of healing and an artistic expression that is, ultimately, of service to others. Why? Because stories invite your readers to see themselves in your truth, and that is the equivalent of holding out your hand to give someone a “leg up.” Through stories we pull each other to the light. I feel so excited about my writing in a way I haven’t since I was a teenager.